Overdrive allows you to borrow and download eBooks and audiobooks from public libraries that support this system. I have a Nook Color and while it is quite useful and functional as a Nook Color android tablet, I still read on it pretty often. I used to think that we had to buy the eBooks and transfer it to over to the eReader device. One of the more amazing things that had caught my attention was the idea that I could check out books from the library electronically. The process is slightly complex the first time, having to go through the Overdrive Media Console and creating an Adobe ID and also, it is plagued by the same queuing system as per the physical books whereby you have to wait till the previous person is done before you can borrow it. However, it becomes much simpler to use once the initial setup is established, and is a nice, cheap alternative to refresh your e-library. 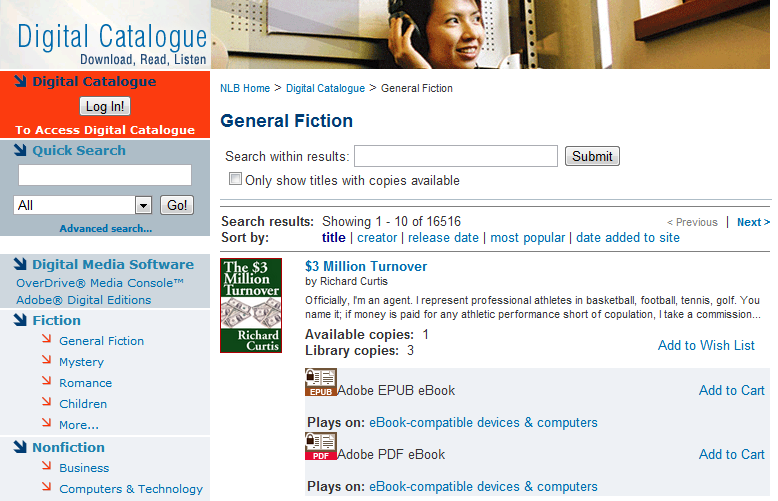 Impressively enough, the Singapore National Library Board has a digital catalogue and it can be accessed through http://singapore.lib.overdrive.com/. The collection is slightly small but some of the top fiction books can still be found. So if you have an iPad, Android Tablet, Nook, or Kindle, do check out the local e-library and start borrowing. The eBooks have an electronic signature that automatically disables the file once it passes the loan date, and once you have For parents, there are picture and audio books that you can borrow to keep your young ones entertained. Start reading away! Could someone write to me? I would like to enquire on the elibrary. Nexus 7 vs the iPad – Survival!